About – Williams Industries Inc.
Williams Industries Inc. (WII) is a diversified Caribbean corporation with headquarters situated at Cane Garden, St. Thomas in Barbados. From its headquarters WII controls 25 wholly owned and 13 joint venture companies in Barbados, St. Lucia, and other Caribbean Islands. These companies do business in manufacturing, electrical engineering, supply to the construction industry, waste recycling, water desalination, well drilling, real estate development, building and Equipment rental, sewage treatment, alternative energy, cellular communication and Tourism. The WII Group employs over 800 people. Over 300 of them are shareholders. The companies of Williams Industries do not compete with their customers. Our manufacturing companies produce a wide range of products for the construction industry and supply them to all hardware stores and contractors at competitive prices. Our companies will also sell to consumers who come to our factories at retail prices because we believe that customers who enter our premises to buy our products must always receive courteous and efficient service. We are always on the lookout for the best value for money from our suppliers but we believe that good reliable suppliers are as important to our business as good customers. For this reason we always treat suppliers fairly and we pay them in accordance with agreed trading terms. We are constantly looking for ways to reduce our operating cost without impacting our staff negatively. We also focus on improving our customer service to ensure that our companies are always able to offer the best value for our customers money in our industry. We are aware that it is much more difficult to win a new customer than it is to keep an existing one so our policy requires our companies to pass on the benefits of lower input costs to all of our customers whenever we can. We are firm believers in our slogan. Williams Industries Inc. (WII) has developed an award winning modelling system for monitoring multiple business performances. This enables management to see trends quickly and take immediate action to support the positive and correct the negative. Transparency in management and the reporting of results, profit sharing and a unique employee share ownership scheme keeps all employees informed and empowered. The foundation of WII is an unshakable commitment to credibility and integrity in business that ensures that suppliers, employees and customers are always treated with respect and fairly. No lending institution has ever had to write off any part of any loan extended to any company controlled by the WII senior management team since the first company started over 42 years ago. 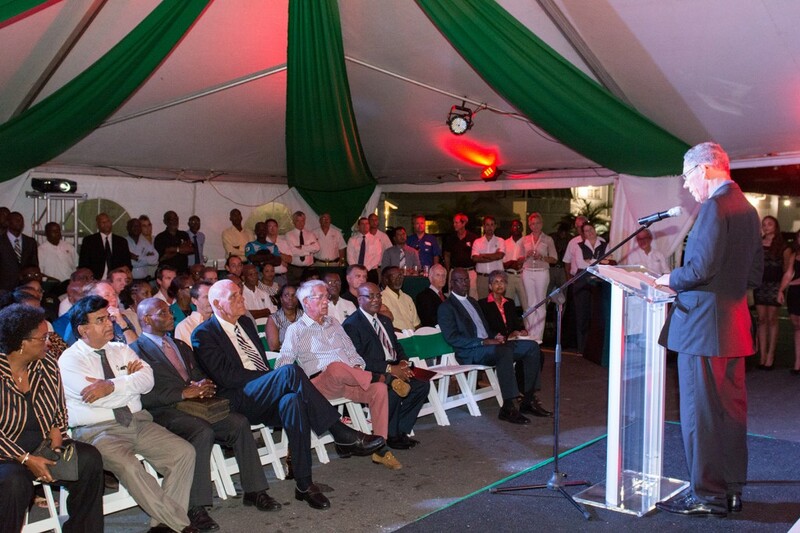 And more recently Digicel (Barbados) Ltd and Sustainable Barbados Recycling Centre Inc (SBRC). Once established in Barbados WII then takes the technology to other markets such as St. Lucia and other islands in the Caribbean. WII will also form joint ventures with successful regional businesses to create markets for its products and services and to establish new one of a kind businesses. WII also uses slack periods to build warehouses for rent. Going forward WII is focusing on the development of alternative energy technologies and the recycling of waste across the Caribbean. Recovery of metals from waste, generating electricity from the sun and from garbage. WII also sees the replacement of fossil fueled vehicles with electrically powered vehicles charged from the sun as a future development across the Caribbean.